A hearing on SJR 3 — a massive property tax increase was held on Tuesday February 21st in the Senate Finance Committee in the Salem State Capitol. Senate Joint Resolution 3 would dismantle the protections homeowners have on the rate of increase of their property taxes on their home. Currently those taxes based on the assessed value of your home are capped at 3%. This 3% limit was enacted by voters in 1997 (Measure 50) and placed into the Oregon constitution. 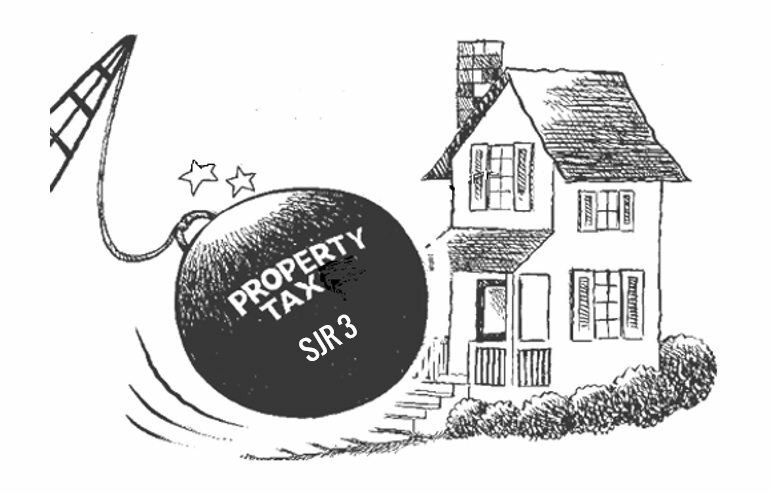 SJR 3 aims to remove it — which could hit homeowners with thousands in higher property tax bills. The bill tries to win public support by extending some sort of exemption for owner occupied properties, but leaves it to other factors to determine what that exemption will be. So homeowners may face one of the largest property tax increases in Oregon history in exchange for a tiny help for the home their they live. Nonetheless, expect big property tax increases on your home regardless. As for rental property and business property owners — expect a property tax increase that will be crippling. Every single businesses in Oregon will be impacted. Here is the official summary of the bill. Proposes amendment to Oregon Constitution repealing ad valorem property tax assessment provisions created by House Joint Resolution 85 (1997) (Ballot Measure 50 (1997)),requiring ad valorem property taxes to be assessed on real market value of property and directing Legislative Assembly to provide exemption from ad valorem property taxes for owner-occupied principal dwellings and tax lots upon which dwellings are located. Refers proposed amendment to people for their approval or rejection at next regular general election held throughout this state. Follow more at OregonWatchdog.com or donate to help us lobby against this bill.